Ibraheem Toy House is a successful Islamic Online Business which started on the kitchen table in 2014 with four products and two suppliers. Since then we have over 200 different products and 30 suppliers from around the world. At Ibraheem Toy House, our mission is to instill the love of deen in the future generations of the Muslim Ummah. We believe that children learn best through play and if the right educational toys and books are provided from a young age, we can instill the correct Islamic ethos and values in our children. First and foremost – know why you’re doing, what you’re doing! It will help you stick to it for a long term in shaa Allah. Ibraheem Toy House started in 2014 because as a British Muslim mother living in the UK, I wanted to ensure my children are proud of their religious identity. I wanted to make Islamic learning fun so one evening whilst my daughter was playing with her wooden English alphabet puzzle, I decided to look for an Arabic alphabet puzzle for her. 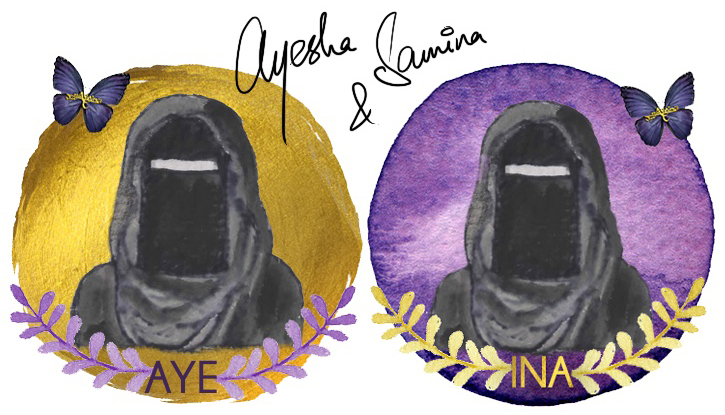 Soon I discovered more and more products and realized it was difficult to find good quality Islamic toys in one shop or store and after doing a lot of research into this market, I decided to set up my own online Islamic Toy Store. It’s important to have a consistent look to your brand so people are able to recognize it once they see it over and over. Our first logo was a colorful train with Ibraheem written in an Arabic-style font which was designed by a local graphic design student. However, after two years of trading and learning about branding, packaging, and logos, we decided to change our logo to something more simple, clean and relevant to our business. 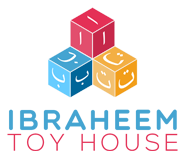 So our new logo includes 3 small cubes with the Arabic alphabets and the font is much cleaner. For the new logo, we hired a professional designer and we discussed our business mission and values. We looked at color charts and other prominent toy store logos before deciding the final design. 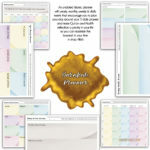 In the start, I started selling my products on Facebook and after two months, I decided to take the plunge and get a website designed. At the time I had no idea about website platforms and branding etc., all I knew was I want a website to showcase my products and it needs to be pretty looking. So I contacted a local web designer who had previously worked with a few Muslim startup businesses I knew. My top tips for a website is making sure you find a web designer who is local to you, someone who is in the same country as you. Do your own research and read up on different website platforms. Discuss your business goals and needs with your web designer and make sure your website has a clean finish with the professional font – something that is easy to use. 1) Multiple payment options (as not everyone will have a PayPal account). 6) Mobile friendly site (most of the users will be looking through your website from their mobile device). 7) Product review section (this lets previous customers help the new ones in shaa Allah). 8) Product replacement option/money back guarantee (honesty and trust are very important when it comes to customer service. If something is lost in the post, we replace it for the customer). 9) An active website (if you’re not uploading products constantly, then make sure you have a blog that can keep the site active. Make the blog posts helpful and let people know how your products can be of use). The much you invest, the much you get in return. I used my savings to start and fund my business. As the business started to grow and we needed more capital for marketing and more stock, I decided to work part time to get that extra cash for the business. In shaa Allah as the business continues to grow, we are looking for investors with an experience in the eCommerce sector to help us with funding and growth. There are an infinite amount of products in the world, but look at who your audience is and what do they need. Then choose the products accordingly. We receive so many emails from suppliers because they want us to stock their products. Sometimes I instantly fall in love with the product because as a mother I know what my children will love and what’s missing in the Muslim toy market. However, sometimes we have to reject suppliers because we are not happy with the quality of the product. When we first started I would take photos on my phone and upload them on to social media, but as we have grown – we now use a professional photographer. The world is becoming more and more visual so images of the product can make a huge difference. Connect and engage with our audience. 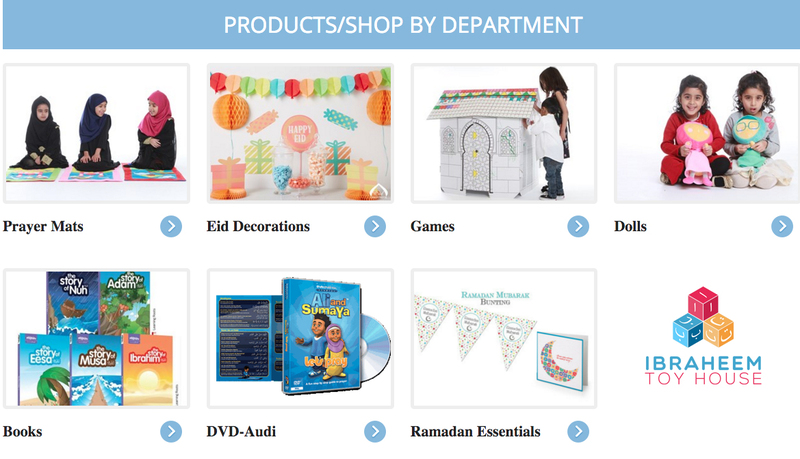 Yes, we are an online Islamic Toy Store – but it’s not always about selling. People connect with people and they need to know your story to be able to connect. In our case, people have seen me pack the products and store them at home and then taking the big decision to use a warehouse for storage and fulfilling orders. Customers have followed our journey from the start when we had our first logo and we only had four products. Now with new branding and over 200 products, our customers can see the hard work that goes behind building an online toy store. Customers know they can email us or phone us and we are pretty fast at getting back to them. I personally engage and interact with our customers on social media. I listen to my customers and take their feedback into consideration. We stock products they want us to stock which is really important for our business and our relationship with the customers. Building a successful customer-relation takes time, effort and trust and as a business owner, we need to take responsibility and provide that excellent customer service. Use social media as an advertising platform – Facebook, Instagram, Twitter, and Snapchat. We also use email marketing to build relationships with our customers. Attending events and networking is important for every business, but it’s also very tiring. When we started two years ago, I would go up and down the country with my products to exhibit and to increase brand awareness but now we try to attend 1 or 2 big events only. 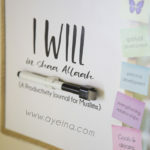 We recently exhibited at the Muslim Lifestyle Expo in Manchester which was absolutely amazing as we completely sold out our products and we received some amazing positive feedback from our customers. As an online business, we normally work from home or in our office so it was great to meet our customers face to face. It was amazing to meet other Female Muslim business owners and surround yourself around an entrepreneurial spirit. We feel larger shows and exhibitions work better for us in terms of brand awareness as they are more organized and more people attend these shows. Collaborate with bloggers and Muslim organizations to spread the word. 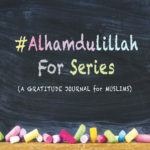 When working with bloggers, we have to ensure they share the same values as us regarding making Islamic learning fun. We try to work with mummy bloggers because ideally, they are our target audience. We have worked with bloggers who have 1 million followers to bloggers who have a few hundred followers because to us following isn’t important. Your content, your values, beliefs and work ethics are more important when collaborating. As a mother who has a business and a part time job, it became difficult to do everything on my own so I delegated the blogging task to Gemma – our brand ambassador. You employ people who share the same vision and value as you. Not everyone will be passionate about your business as much as you, but if you find the right person and provide the right training then anything is possible in shaa Allah. We came across a Muslim Homeschooling blogger/vlogger who made homeschool and generally motherhood look amazing. It inspired me to know that she left her professional career as a Vet to educate her children herself at home. She also became one of our loyal customers so we decided to approach her and asked her to join our team. She became our brand ambassador because she represents our brand beautifully a young Muslim woman who is passionate about making learning fun for her kids. My biggest learning experience has been trusting people too fast. You need to learn and know that not everyone is your best friend in the business. As I am very passionate about what I do, I would meet people and talk about my business vision, suppliers, and goals and at times that fired back. However, we need to remember that there are some amazing people in business who would go out their way to support and empower you. No matter what, keep going! Consistency is the key to success bi’ithnillah. Advice to all entrepreneurs is to research your idea and market thoroughly. Go to networking events and learn as much as you can because knowledge will improve your confidence and motivate you to work hard. Set goals for your business and believe in yourself. In shaa Allah, in the next five years, we should have more stock including our own range of fun educational Islamic products. We would love to brand ourselves as the “TOYS R US” for the Muslim community. If you have a business idea – don’t wait or think too much, start today. Dreams are the first step towards action! Dream high! Author’s Bio: Nazia Nasreen is a Wife, Mother of two, an Audiologist and Founder/managing director of Ibraheem Toy House – UK’s first and largest online Islamic toy store. You can find her on Facebook and Instagram. lovely to read about how you started out. Very inspiring MashaAllah! To all the lovely sisters that have commented. Thank you so much. Sorry iv been a bit quite on this side, it’s just been manic but Alhumdulilah. Inshallah we have some amazing news to share soon. I think us sisters need to support each other more. 2016 has been an amazing year but inshallah it will get better. On social media we show the rosey side of running s business but the lessons I have learnt and the tears and drama is a different story I don’t show. Inshallah I am thinking about setting up an online support system for female Muslim entrepreneurs. Because if you’re anything like me we need a constant reminder, positive affirmations and a support system around us. I’m sick of people making money out of innocent entrepreneurs. Iv had enough of seeing people on FB where you join their mentoring and training course and pay them but learn nothing. Inshallah we can all support each other through our experiences. That’s an amazing idea Nazia. Go for it I’d say. And if you need any kind of assistance, please let us know. Indeed. The success which is not good for hereafter won’t bear many fruits in the world either!